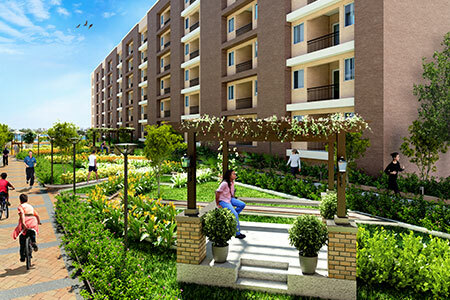 If you are looking out to experience the joy of a community lifestyle, then purchasing ready to occupy flats in OMR Chennai would be a great decision. 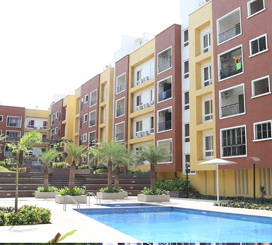 Lancor offers you two great range of new apartments in TCP Lakefront and TCP Altura. These are two of the most premium luxury apartments in Chennai which provides the finest quality of life to any family. Due to its proximity to all the premium amenities such as educational institutions, schools and hospitals, these new apartments in OMR offers luxury at its best. Sholinganallur is one of the busiest areas and is well connected by a various bus routes. A plethora of recreational activities are available as these OMR apartments are close to all major multiplexes and malls of Chennai. Apart from giving you world class infrastructure and amenities, these new apartments in OMR also offer you a peaceful and quiet life away from the hustle and bustle of the city. Through TCP Lakefront and Altura, Lancor offers 3 bedroom luxury apartments in OMR ranging from 1445 square feet -1865 square feet. The most striking features of these 3 BHK flats in omr are spacious rooms, large windows for excellent ventilation, Spanish tiling for the floors, landscaped gardens, indoor badminton court, restaurant, mini theatre and swimming pools.